A full line of solid brass self-piercing grommets and washers which has been expanded to include 1/2” and 5/8” sizes for a total of 10 different sizes has been introduced by METALgrommets.com of Dighton, Massachusetts. ClipsShop® Self-Piercing Grommet Sets now include two new sizes: 1/2” (#4) and 5/8” (#5) which are made from solid brass using a proprietary process that produces enhanced cutting ability. Designed for use with the firm’s grommet attaching machines, they eliminate the need for pre-punching holes, produce a well fit and nicely finished item, and are weather-resistant. 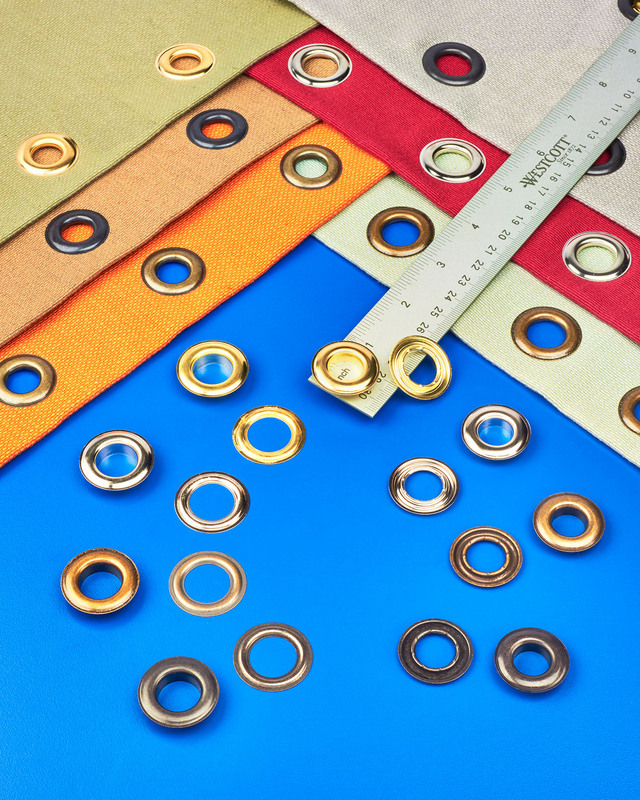 Suitable for use with various stiff materials including vinyl and canvas, ClipsShop® Self-Piercing Grommet Sets are offered in a wide range of colors and finishes including brass, nickel, black-oxide, and antique brass. These self-piercing sets come in 10 sizes from 1/8” I.D. (#XX00) to 11/16” (#5.5). ClipsShop® Grommet Sets are priced from $21.82 (500 sets of grommets and washers) and volume discounts offered. Free samples are available upon request and dealer inquiries are invited.